The Union Titans allowed their fans to relax in Week 3. For the first time this season, Union’s game did not go down to the final minute. The Titans played in an emotional, district game in Week 1. Had a bizarre trip to California for Week 2. And then came back home and cruised in Week 3. Jojo Siofele was held out after tweaking an ankle. Rosenbach said he does expect Siofele to play this week. Also during this game, the head coach took advantage of the non-league schedule to get a look at another quarterback. Lincoln Victor, the starter, took a series off in the first half, and that was by design. This week, he told Ryan Rosumny that no matter what happens in the game, he would play the third series. This way, if the starting quarterback goes down, for even a play, the backup has some experience. “I’m just a believer in getting those guys meaningful reps in the beginning of the year,” Rosenbach said. 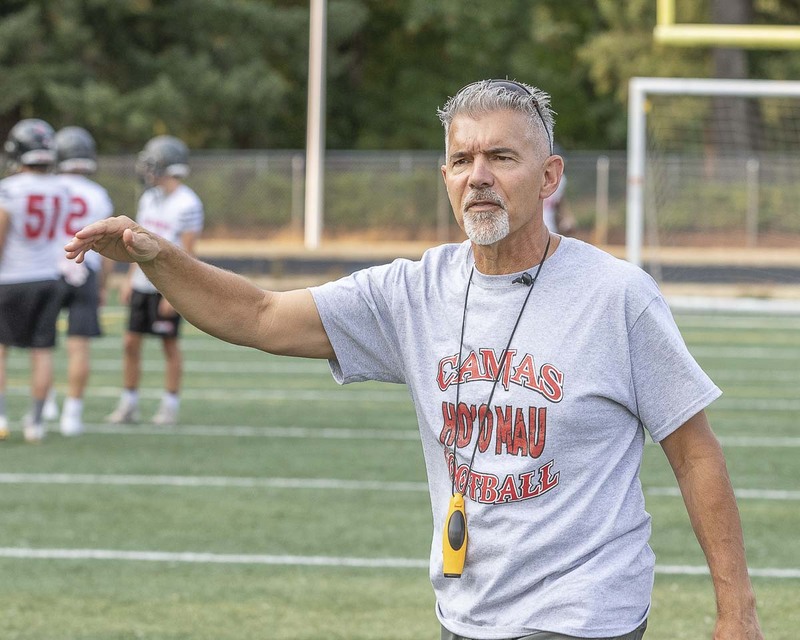 The Camas Papermakers have owned the decade among the big schools in Southwest Washington. One state championship, seven league titles, and a win streak of 58 consecutive regular-season games that ended with a one-point loss last season. The Papermakers have reached at least the state semifinal round four times. 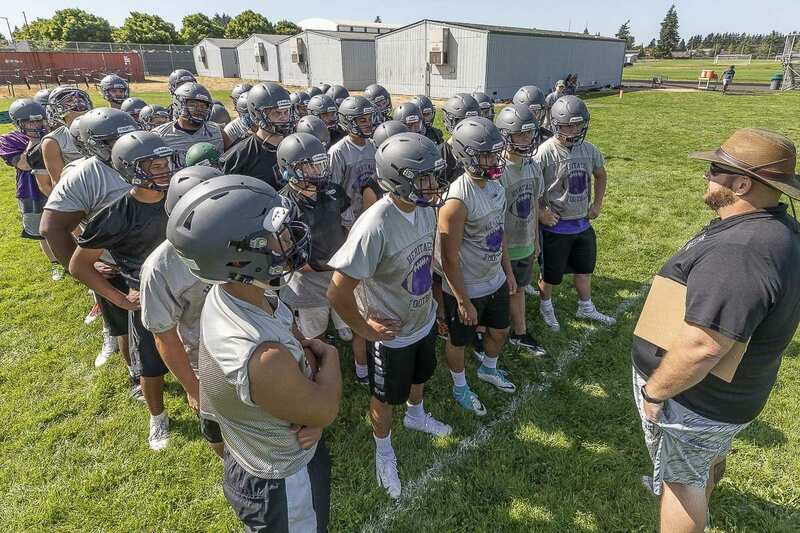 And this week, Camas will welcome most successful big-school football program in Washington. Bellevue is coming to Doc Harris Stadium. Since the turn of the century, Bellevue has nine official state championships, according to Washington Interscholastic Activities Association archives. Plus two more that have been vacated. In other words, there will be a lot of quality history going up against each other in Clark County on Friday night. Camas opponents are likely going to have to continue to prepare for two quarterbacks. The Papermakers have scored 62 points last week. Senior Andrew Boyle and sophomore Jake Blair just keep putting up points. This year’s squad might be 2-1 but the Papermakers know they were just a few plays, or a couple more minutes away from 3-0. The Skyview Storm will play their first true road trip in Week 4, hoping to get back to the .500 level and get some momentum toward the second half of the season. Skyview did play a road game in Week 2, but just a few miles away from Kiggins Bowl at Columbia River. In Week 4, the Storm head north. In Week 3, things did not go right for the Storm when they took on Mount Si and the best high school quarterback Kizer said he has faced. Cale Millen, a University of Oregon recruit, was just too good in a 52-28 win over Skyview. “That guy hit some windows. I don’t know too many quarterbacks who can fit them in like he did,” Kizer said. Still, it was not all just because Millen is talented. “We didn’t play very good technique,” Kizer said. As far as moving on, the Storm hope to get a healthier and there will be an emphasis on defense. On offense, the Storm scored 28 points and had other opportunities, as well, just missing out on a couple third-and-short and fourth-and-short situations. 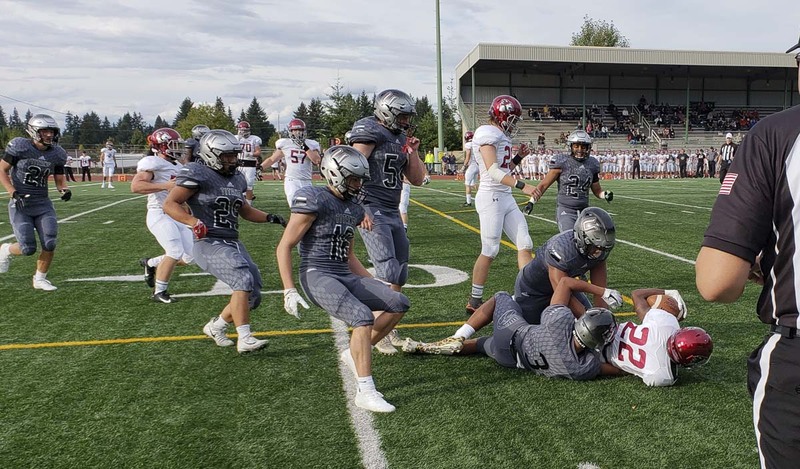 The Heritage Timberwolves suffered their first loss of the season in Week 3 and the schedule does not get any easier with a game against 3A Greater St. Helens League power Mountain View. Win or lose, the Timberwolves just want to get back on the field soon to try to get the taste out of their mouths from last week. Gracey credited Kelso for its game plan and execution — “They were fired up and ready to play” — but was not thrilled with his team’s performance. Freshman quarterback Nikki Scott missed the game with a sprained knee. With or without him, Gracey said the Timberwolves need to focus on starting fast and finishing strong. “We didn’t start fast at all, and they certainly did,” Gracey said, noting his team was down 21-0 early. The Timberwolves were out of synch for much of the game. The coach described it like a car engine that just won’t turn over no matter how many times one turns the key. Which is why the Timberwolves are looking forward to Friday. They know Mountain View is a tough opponent. They just want to prove, win or lose, they can play assignment football, improve, and get ready for league play. The final score was due to a combination of things. One, the opponent is super talented. Two, the Battle Ground Tigers did not have their best week of preparation. And that starts long before Friday night. “The kids played like they practiced,” Kesler said. Fortunately for the program, Kesler said, the players got the message. Oh yes, it is Prairie week. The Battle of the Battle Ground School District. For the most part, though, it was just a rough outing for the Tigers. Things are looking more promising, though, Kesler said. The Tigers should have a few more players in the lineup this week after some eligibility issues were cleared up, plus all-league defensive lineman Blake Harris is expected to play. Also an offensive lineman, he injured his ankle in August and is ready for his first action of the season. “We’re looking forward to some good things this week,” Kesler said.